In 1963, Jane Roberts met a spiritual entity named Seth. He spoke through her and the lessons he taught proved timeless and crucial. Roberts went on to write much about her channeling experiences with Seth and her books have sold 2.5 million copies. Her Seth material is consistently one of the top two most visited collections at the Yale University Archives. From 1968 to 1975 Roberts held an ESP class in her home, during which she channeled Seth. Sue Watkins was a member of that class. The knowledge she gained from the Seth sessions changed Watkins's life. In fact, it changed the lives of all the class participants. In Volume II of the Seth series, Watkins shares the insights she discovered while participating in Roberts's groundbreaking classes. 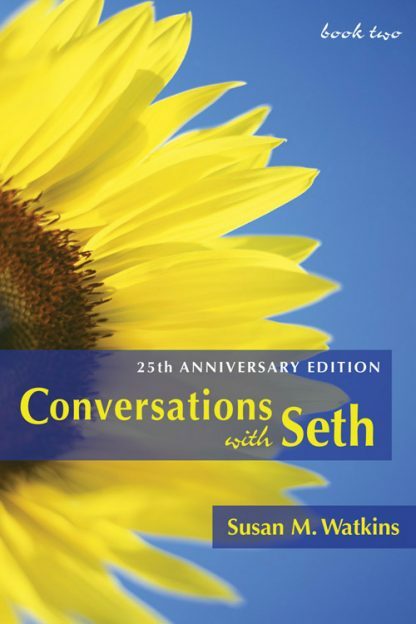 The personal, social, and political issues addressed in Conversations with Seth are as relevant today as ever and include health, sexual identity, wealth and poverty, the military draft, relationships, dreams, ESP, reincarnation and more. Seth expands on many of the topics raised in book 1 and also explores provocative new material: the correlation between our beliefs, dreams, and daily experience; the concept of probabilities, counterparts, and individual identity; the very real difficulties of applying the "you create your own reality" concept to daily life. Also included is a fascinating discussion of Christ. And, as in the first book, Seth addresses the personal, ongoing issues that class members experienced over the years--troubled marriages, illness, financial hardships, and more.